The Protestant Deaconess Movement of the early 19th century in Europe is the beginning of the modern nursing profession. The Protestant Deaconess Movement of the early 19th century in Europe is the beginning of the modern nursing profession. Deaconesses cared for the sick in special housing designed to house the infirmed. Formal secular training for nurses did not take place until 1836 in Kaiserwerth, Germany. The education of Florence Nightingale at Kaiserwerth began a movement in the nursing field that would define the essence of nursing then and for decades to come. Nightingale’s enthusiasm for nursing pushed nursing to the limits and encouraged women of all social distinctions to pursue a career in nursing. By 1864, Kaiserwerth graduated 1600 nurses from many different countries. By the late 1800's schools of nursing opened in the United States with The American Journal of Nursing established in 1900 and the establishment of the American Nurses Association in 1911. The Depression years brought about a shift from home care nursing to hospital nursing care which changed it from an independent profession to one with an hourly wage. With the World Wars, nursing became a vital part of the war effort serving for their country. By 1942, nurses were tested and licensed throughout the United States. During the 1950's and 1960's the nursing field expanded with the baby boom. Racial equality was established in nursing education and organizations. 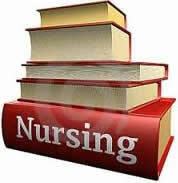 There was also legislation on the requirements of education for nursing students. Once again nurses were being employed in large numbers outside the hospital setting. By the 1980's the health care industry grew at an unprecedented rate. This called for an increase in nursing opportunities such as specialization and higher learning. Paper Masters writes custom research papers on History of Nursing Education and discuss the beginning of the modern nursing profession.